We believe everyone needs to hear the Gospel and can be changed through the power of God’s Word. Each Tuesday evening a group of Christians from West Metro goes to Polk County jail in Cedartown to bring a message of hope and life to those in desperate situations. In doing so, they gain experience in teaching others and also grow in their own faith. West Metro provides clothing and supplies for men leaving for Half-way houses. Making our first delivery to the Paulding Detention Center. 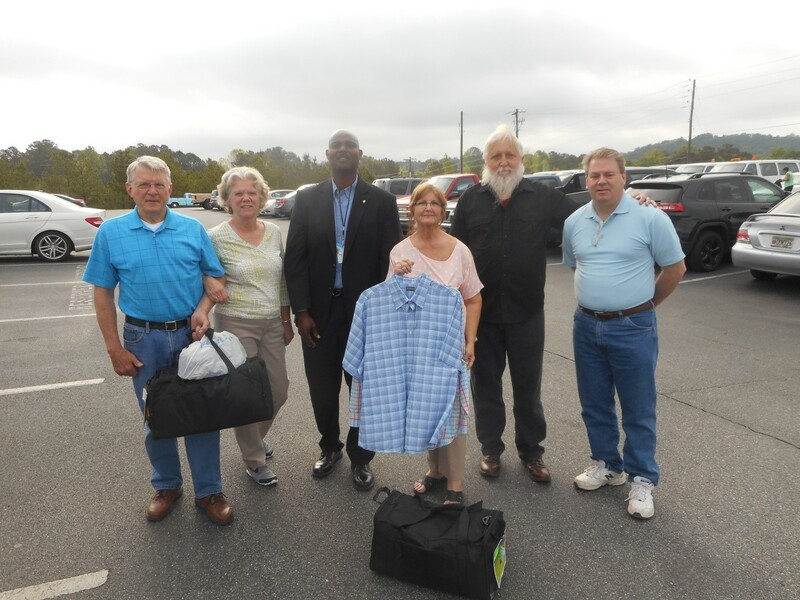 Pictured from left to right: Irvin and Susan Jones, Willie Singleton and Leigh Wiles of the Paulding Detention Center, Steve Jarrard, and Stephen Troup. Also involved in the clothing ministry and teaching Bible lessons, but not pictured are: Marcia Jarrard, Mary Harper, Chris Zachos, and Lee Bradshaw. The men who will receive the clothing items are graduating from a 9 month stay at RSAT (Residential Substance Abuse Treatment) program here in Paulding Co. These men have opted to continue in a 6 month program with an organization called Sober Living America which provides a safe and structured environment. They will participate in a Total Learning Curriculum called “Game Plan for Life” This includes recovery and treatment education, Life Skills, Spiritual classes, and a Work development program that includes Job Evaluation, Job Training and Job Placement.